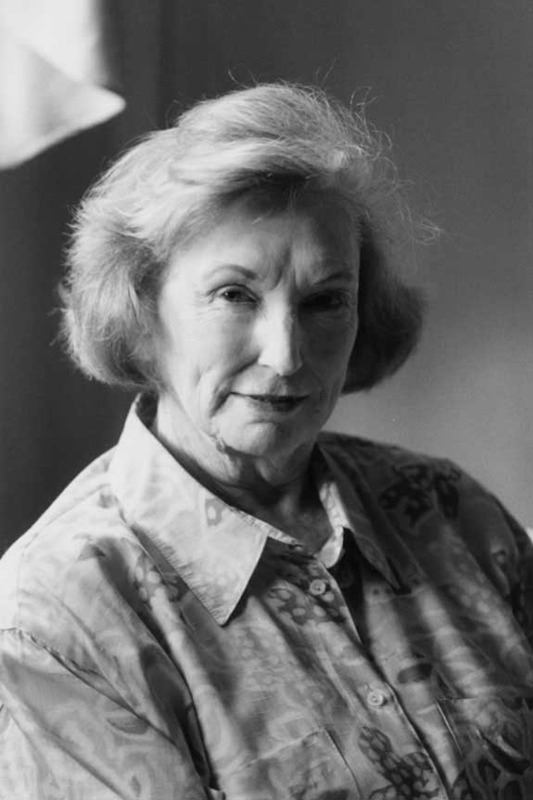 Novelist Elizabeth Spencer was born on 19 July 1921, in Carrollton, an old Mississippi town of five hundred people on the eastern edge of the Delta. At an early age, she escaped social and familial strictures by riding her horse to her uncle Joe McCain’s plantation at Teoc, thirteen miles away. This distancing freed her to observe the inhabitants of Carrollton, as she later recounted in her memoir, Landscapes of the Heart (1998). Both sides of Spencer’s family settled in Carroll County as early as the 1830s. Her mother’s family, the McCains, were big readers, and her mother read to her often from her library, which included Greek and Roman myths, the Arthurian legends, and the Bible. The McCains talked about characters as if they were part of the family. “It was a shame,” they might say, “that Fantine (in Les Miserables) had to sell all her hair and teeth.” Because her brother, James Luther Spencer Jr., was seven years her senior, Spencer kept herself company early on by writing adventure stories. Spencer’s father, James Luther Spencer, was a strict Presbyterian who neither encouraged nor supported Elizabeth’s writing aspirations. Nevertheless, Spencer attended Belhaven College in Jackson and majored in English, graduating in 1942. Spencer attended graduate school at Vanderbilt University, earning a master’s degree in 1943 under Fugitive poet Donald Davidson. Spencer then taught briefly, worked as a reporter, and saved up five hundred dollars, enough to sustain her for a year while she wrote her first novel, Fire in the Morning (1948). Before the manuscript was completed, Davidson found her a publisher, and she used the book’s meager royalties to hop a freighter to France and travel in Germany and Italy. She taught English and creative writing at the University of Mississippi in 1948-51 and 1952-53. In 1953 she returned to Italy on a Guggenheim fellowship. Italy provided Spencer with the distance she needed to write The Voice at the Back Door (1956), about the night when the Spencers’ maid in Carrollton, Laura Henley, showed up at their back door, brutally beaten. Italy also provided the setting for her most famous work, Light in the Piazza (1960), and its companion, Knights and Dragons (1965). Written in about a month, Light in the Piazza became a popular movie and in 2005 a highly acclaimed Broadway musical. Because Spencer’s first three novels are set in Mississippi during the 1940s and 1950s and are concerned with race relations, various critics have deemed her a southern writer. But in subsequent works, beginning with two novellas set in Italy, she broke new ground. In No Place for an Angel (1967) she examines the emptiness in the lives of the rich and powerful in such far-flung settings as Washington, D.C., and Key West. In The Snare (1972), set in New Orleans, the protagonist, Julia, becomes caught up in the evil underbelly of that city. Conscientious objectors to the Vietnam War who escaped to Canada are the subject of The Night Travelers (1991), set in North Carolina and Montreal. Though male characters dominate her early fiction, her female protagonists, such as Nancy in the short story “Ship Island,” prove equally compelling when pushing against social, familial, or cultural expectations. The constant in Spencer’s fiction is the captured moment that reveals connection to or alienation from the larger web, be it small town or whole continent. In The Voice at the Back Door, it is found in an instant when a white man invites a black man to sit in the front seat of his car. In “The Legacy” it is found when a young girl extracts a promise from her lawyer to keep her ten-thousand-dollar inheritance a secret. Author of nine novels, five collections of short stories, an exquisite memoir, and a play, Elizabeth Spencer has mastered all these forms. Because she is cosmopolitan, her themes universal, her mind original and versatile, categorizing her is a happy impossibility. She has won numerous awards over her nearly seven-decade career, including the William Faulkner Medal for Literary Excellence, the Mississippi Governor’s Award for Achievement in Literature, the Lifetime Achievement Award from the Mississippi Institute of Arts and Letters, the PEN/Malamud Award for Short Fiction, and the Sidney Lanier Award for Southern Fiction. Her collection Starting Over: Stories (2014) won the Rea Award for the Short Story. She lives in Chapel Hill, North Carolina.